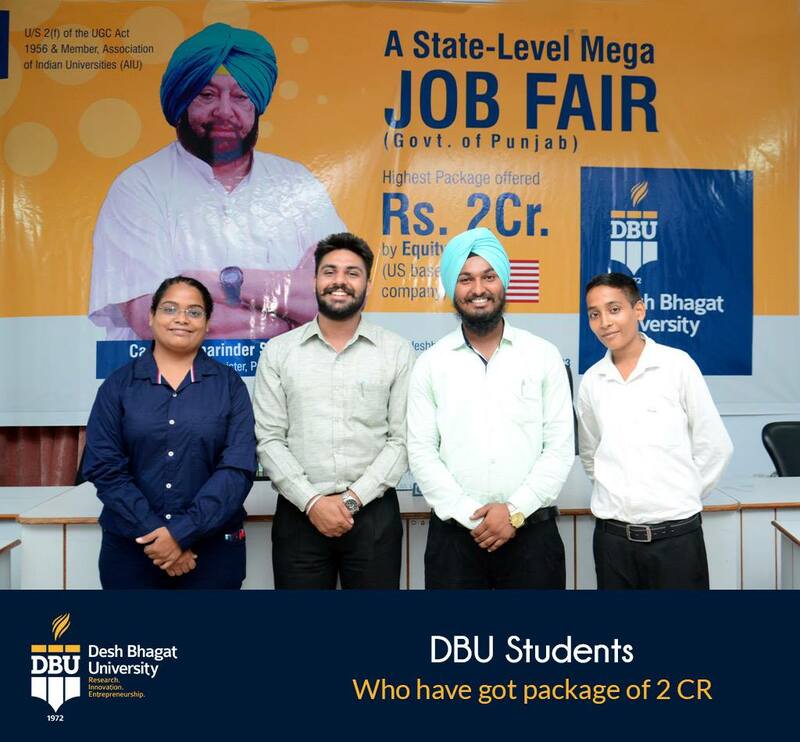 Amonst top private universities in Punjab, Desh Bhagat University’s 2 students who got a package of Rs. 2 Crores from a USA based company Equity Score were introduced to media. A press conference was arranged in this connection at university campus. Chancellor Dr. Zora Singh while interacting with the media persons informed them that both students Varinder Kumar and Lakhvinderjeet Singh are studying engineering in DBU. They are selected by the company during the State Level Job Fair Visionzz-19 held recently at the university. The company has started imparted training to the students which will be of an year. After completing the training they will enrol with salary and package. 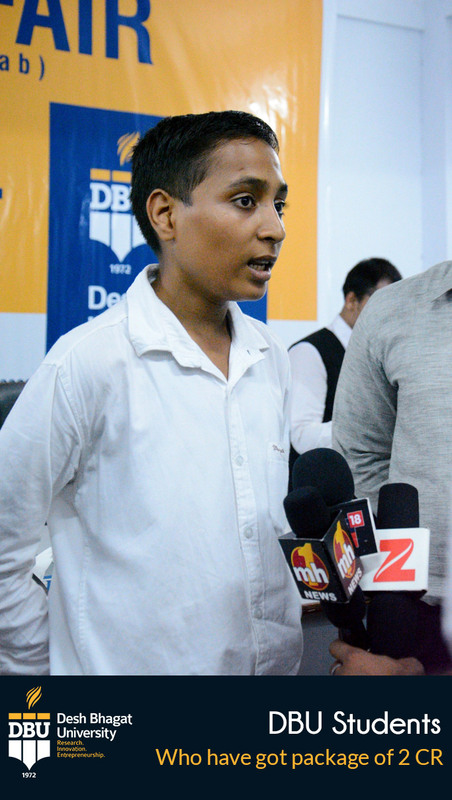 Both the students received their appointment letters from The Chief Minister of Punjab Capt. Amarinder Singh during the event held at Mohali, he informed. Dr. Singh also thanked the Govt. of Punjab, particularly Technical Education Minister S. Charanjit Singh Channi and others for the cooperation during the Job Fair. Professor Paul Douglas Katchings, who is Advisor to Equity Score LLC and part of association while talking to media, said that these students will get Rs. 18,000 per month during the training period. After completing training, they will get salary plus shares of the company according to their performance. The base income for each candidate will range between $300 to $520 a month along with stock options valued between $202,000 and $313,000, he informed. The company is working in the field of App Development at different platforms. The students who were in a jubilant mood gave the entire credit for their success to the highly committed teachers, state-of-the-art infrastructure and congenial academic environment in the university. Their parents expressed happiness saying that it’s wonderful that their children will earn such a good amount during the study. They thanked university officials for this initiative. 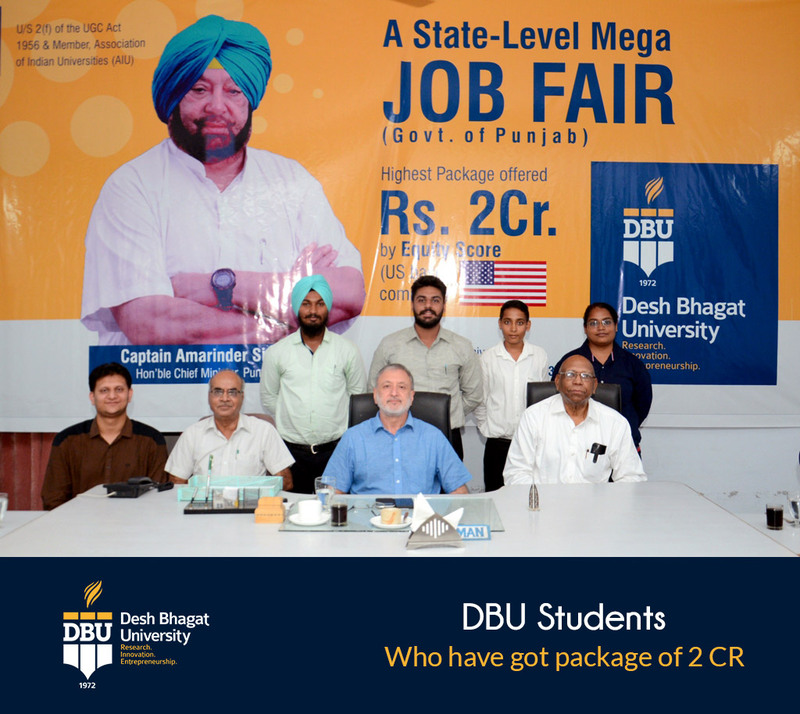 Vice Chancellor Dr. Virinder Singh appreciated the initiative of state government for Mega Job Fair series. Desh Bhagat United Vice President Er. 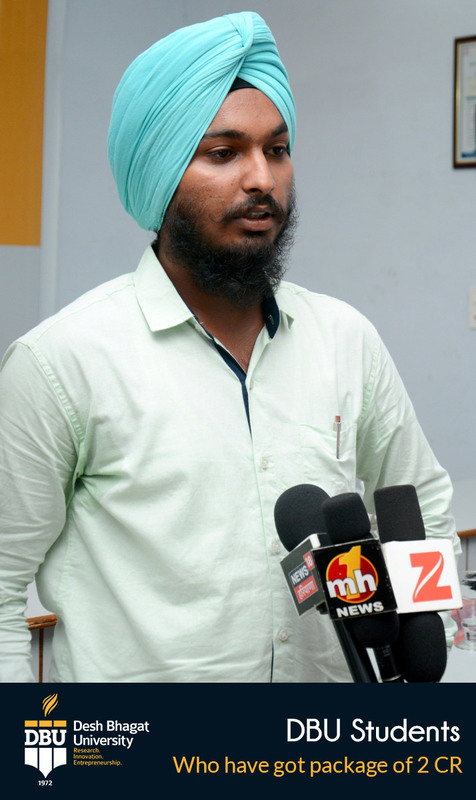 Sandeep Singh informed that the students are excited to join Equity Score course. Pro-Chancellor Dr. Tajinder Kaur thanked media for visiting the campus.